The old car hobby is a minefield even for experienced car guys because there are many variables in the equation when it comes to old iron. By variables, we mean painful realities that can hit you like a Greyhound bus on a freeway when you least expect it. A rookie in the old car hobby faces even greater dangers because he or she will not have any experience in the time, effort and money needed to fulfill most four-wheeled dreams. 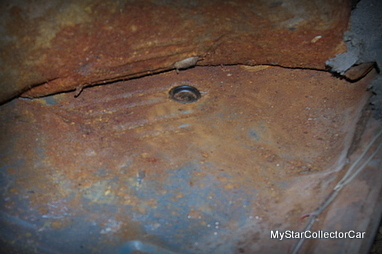 We at MSCC want to identify five of the biggest mistakes made by rookie car guys. Mistake Number One: Rookies believe the project will be a short painless process so they will be on the road styling in their completed ride in short order. We blame TV for this grim misconception because they air many shows that plant this insane idea in the heads of gullible car guys. These clowns put unrealistic TV deadlines on major projects and then wave a magic TV wand that gets the job done just in time. It does not work that way in the real world and many real world automotive shops have to deal with the fallout from these shows. 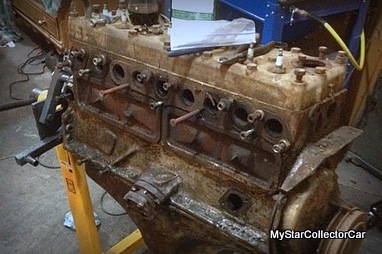 The real world automotive shops know quality work takes time and money. A rookie car guy needs to understand this basic fact before pursuing any restoration, resto-mod, or custom project. 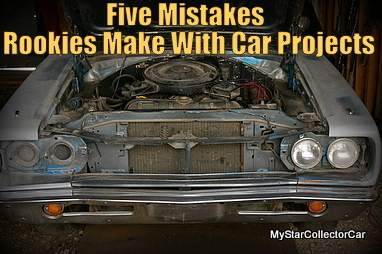 Mistake Number Two: Rookies buy vehicles and have no idea what lurks beneath the surface of their purchase. 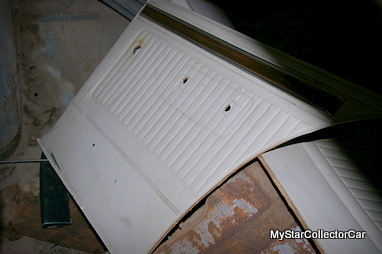 They see a little fixer-upper with minor rust issues where automotive experts see a complete basket case, held together by a temporary truce between bondo and rust-one that will end badly when rust inevitably overpowers the last of the besieged metal in the old ride. Beauty is only skin deep in many old rides and seasoned car guys will recognize how a “little rust” can be a death sentence for old iron. 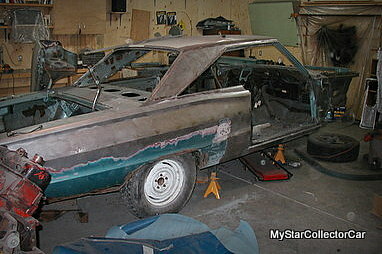 Mistake Number Three: Rookies buy old vehicles as an investment strategy instead of a personal route to a great hobby. 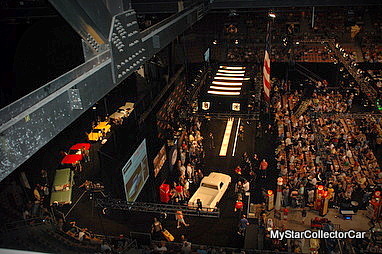 They watch auctions like Barrett-Jackson and glean their entire knowledge of the hobby from the prices attached to low mileage, limited production vehicles that command big prices because of their pedigree. This strategy is somewhat like buying a horse and fully expecting it to be the next Secretariat. In other words, not a smart reason to enter the old car hobby. Mistake Number Four: Rookies have no discernable skills they could use in the project. Even a basic skill set will help them become a part of the re-build process and every seasoned car guy started out the same way. 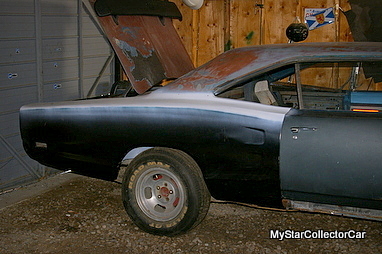 A car project is a learning process and the lessons are invaluable for rookie car guys. They will learn from their experience-and learn even more from their mistakes along the way. But they will need to learn enough to pull themselves out of an unavoidable moment when their old ride stops running on the road. 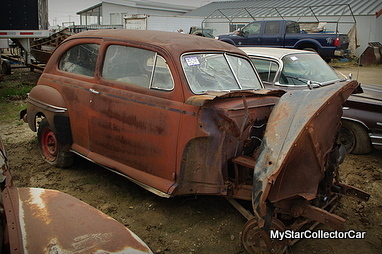 These unwanted adventures in old rides will inevitably happen to every car guy. 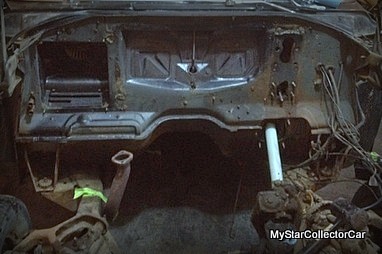 Mistake Number Five: Rookies will tear apart a vehicle and have no game plan. 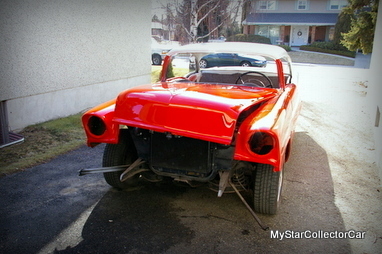 The easiest part of every project is the tear-down and the toughest part of every project is the resultant chaos from a poorly planned dismemberment of an old ride. Yes, we called it a dismemberment in the finest tradition of a gory slasher movie. 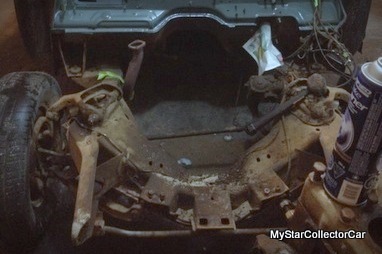 A vehicle stripped of its parts without a careful well-documented inventory of the many pieces is a horror story. It is one of the biggest mistakes made on any project and we strongly advise rookie car guys pay close attention to the final mistake in our list.